Education Secretary Rebecca Holcombe talking to the Senate Education Committee as Sen. Chris Bray (D-Addison) looks on. Gov. 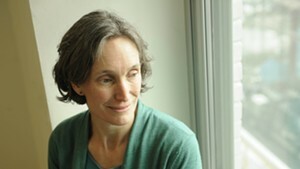 Phil Scott has chosen Rebecca Holcombe to stay on as his education secretary. Holcombe, who was appointed by former governor Peter Shumlin, has led the agency since January 2014. 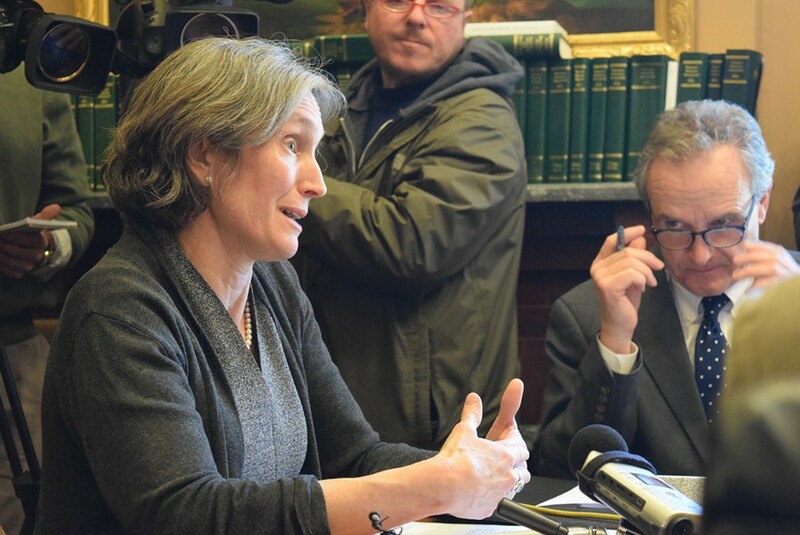 She has company as a Shumlin holdover; Republicans have been critical of Scott for keeping a number of his Democratic predecessor’s appointees. Holcombe’s appointment completes Scott’s cabinet. The governor selects an education secretary from three candidates submitted to him by the State Board of Education, which makes for a slower process. The state doesn’t disclose the unsuccessful applicants’ names. So far during her tenure, Holcombe has overseen the ongoing school district mergers prompted by Act 46. Her new boss is proposing drastic and controversial changes to the state’s education funding system. His proposal — much of which has already been rejected by the legislature — would require school districts to level-fund their budgets and reallocate money from K-12 education to prekindergarten and higher education.